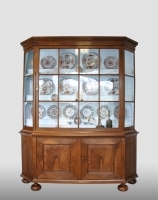 Dutch display cabinet, about 1750. 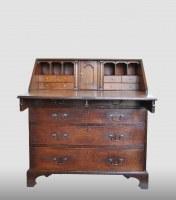 English oak dresser, about 1750 - 1775. 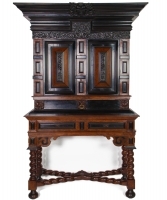 English medium high cupboard, 17th century. 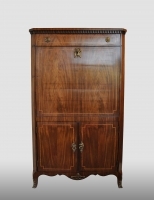 Small German/Dutch cupboard, about 1700. 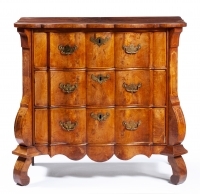 English six plank chest, about 1700. 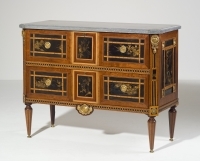 Dutch Louis-Seize secretaire à abattant, about 1775. 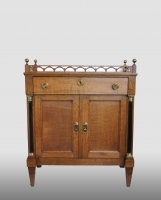 Small Dutch cabinet, about 1800. 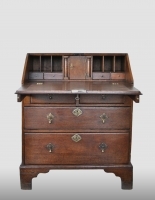 English chest with drawer, 17th century. 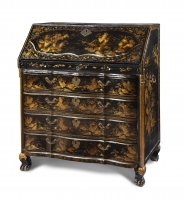 English chest, early 17th century.